Charlotte, N.C. (November 28, 2016) – 2016 ARCA Racing Series Rookie of the Year, Dalton Sargeant will make his third Snowball Derby start but with a new partner and an all-new look for the 49th annual event. 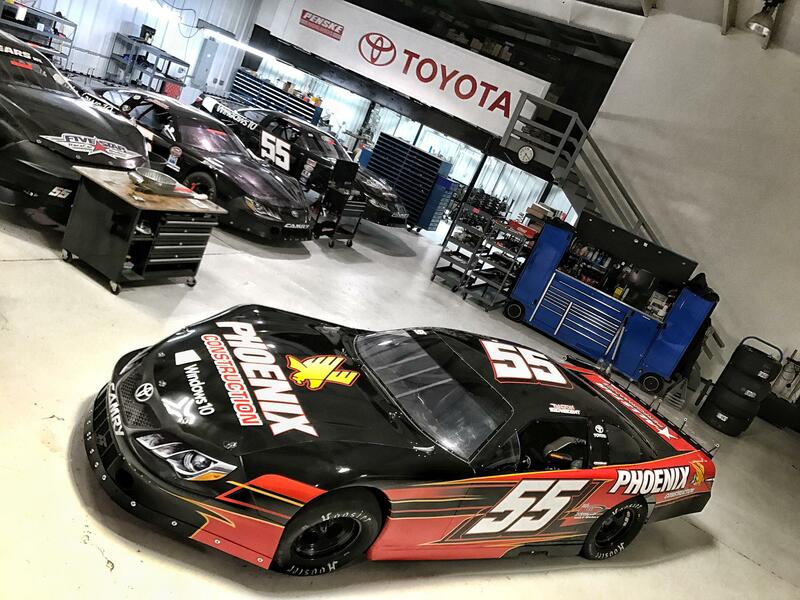 Phoenix Construction have joined the super late model powerhouse of Accelerate Motorsports with Bond Suss and will give the 18 year old Boca Raton, FL native one of his best opportunities to win the elusive Tom Dawson trophy. Along with Phoenix Construction, Billy Ballew Motorsports will also partner with Sargeant and Accelerate Motorsports for the 2016 Snowball Derby. James Finch and Ballew have an extensive history in NASCAR including Sprint Cup, Xfinity and Truck Series wins amongst the two of them as team owners. Phoenix Construction has sponsored the Snowball Derby winner a few times in the past as well, including Jeff Purvis in 1996, Erik Jones in 2013 and Chase Elliott in 2015. Sargeant has two top-5 finishes in his two Snowball Derby starts, including a second-place finish in the 2014 Snowball Derby to John Hunter Nemechek in his first attempt at the age of 16. Sargeant hopes that his new surroundings at Accelerate Motorsports with Bond Suss are exactly what he needs for a breakout win. The 49th annual Snowball Derby takes place on Sunday, December 4 with practice beginning on Thursday, December 1. Speed 51 will be televising all four days of on-track action, for more information and live updates throughout the weekend, head over to Speed51.com. Follow @DaltonSargeant on Twitter, Instagram and Facebook for all the live updates with the No. 55 Phoenix Construction, Billy Ballew Motorsports, Windows 10 Toyota Camry.